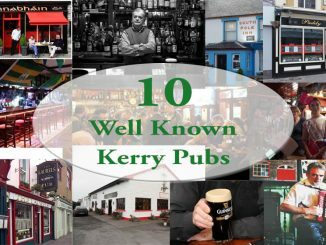 Kerry has hundreds of pubs and you will find one in practically every town and village in the county. Some pubs in Kerry are very famous, often because of their association with some star of stage, screen or sport. 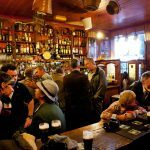 There are numerous old style traditional pubs in Kerry as well as many modern establishments which often double as fully fledged restaurants serving the finest of food. During the Summer months especially, you will hear live music in many of the pubs. Much of it is traditional Irish music but you will also hear ballads or rock music depending on the location. Whatever is your fancy you can be assured of great craic, conversation and drink in every Kerry pub.